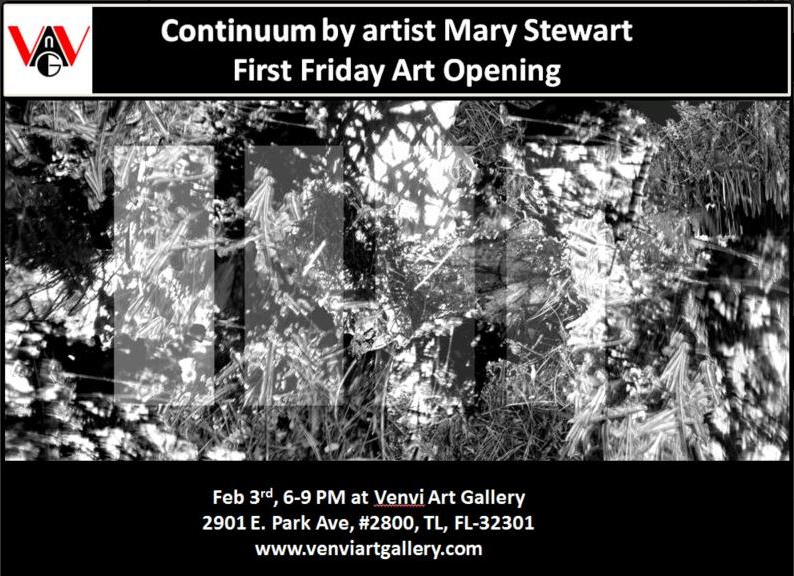 FSU Art Faculty member Mary Stewart’s exhibition Continuum opens at First Friday, from 6-9pm at Venvi Art Gallery in February. The exhibition will remain on display from 02/03/2017-03/17/2017. Wine and cheese will be served at the opening where visitors will be able to meet the artist.